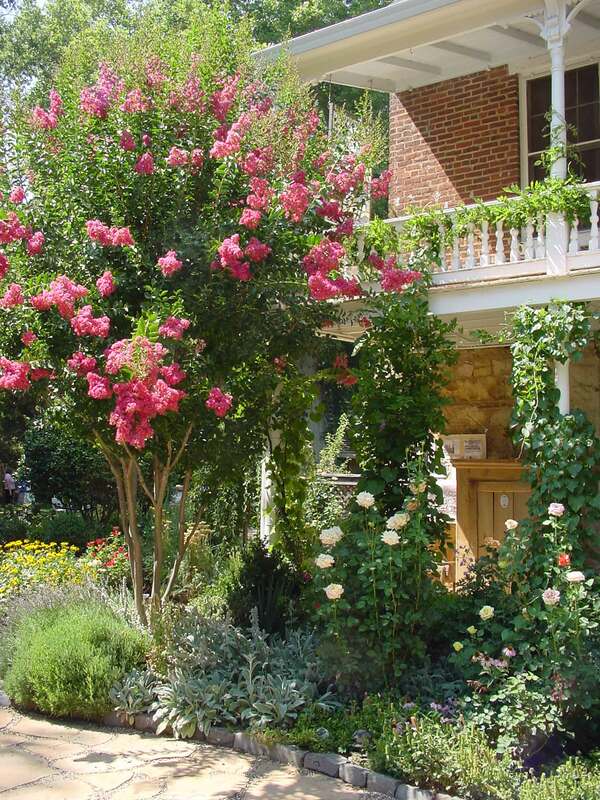 The Seasons Bed and Breakfast Hotel Placerville, CA is a child and pet friendly hotel bed and breakfast and located in the heart of California’s gold country in El Dorado County. Conveniently located between Sacramento and Lake Tahoe right off Highway 50 at the Bedford Avenue stoplight. This historic Inn was once a gold stamp mill in 1859 and has since been carefully modernized and elegantly appointed with 18th century French and English furnishings and tapestries. The Season’s museum has gold rush artifacts found on the property. Situated on a beautifully landscaped 3/4 acre lot and just one block from Placerville’s Main Street. Guests pass the time relaxing in a private and very large perennial garden admiring the roses, fruit trees, butterflies and exotic plants. Some can even be found looking for gold in the babbling creek that runs under one of the cottages and continues through the property. If you are looking for a quiet weekend getaway or a venue for your wedding or other special event please consider us for our Victorian and historic Bed & Breakfast appeal. Call to 530.626.4420 to book now.